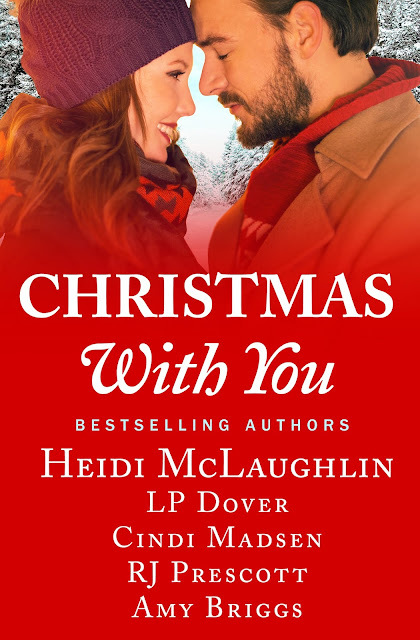 I’m so excited to show you the cover for CHRISTMAS WITH YOU! There’s nothing wrong with a little Christmas in July, right? This project is near and dear to my heart and came to fruition last winter while I was watching my youngest play in a basketball game. Once I had the idea, I asked some of my closest friends if they’d be willing to contribute, and together we put together this anthology. It’ll be available this holiday season, in ebook and print form. ARCs will be available through Grand Central. Heidi’s first novel, Forever My Girl, has been adapted into a motion picture with LD Entertainment and Roadside Attractions, starring Alex Roe and Jessica Rothe, and opened in theaters on January 19, 2018, and is now available on DVD & Digital. Cindi Madsen is a USA Today bestselling author of contemporary romance. She lives in Colorado with her husband, three children, an overly-dramatic tomcat, &amp; an adorable one-eyed kitty named Agent Fury.